SPS students demonstrate academic excellence by scoring better than others in the state on Missouri Assessment Program tests. SPS seniors consistently score above state and national averages on ACT composite scores. In 2008, our high schools graduated 12 National Merit Scholarship finalists. 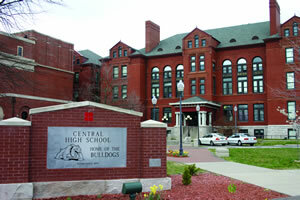 The Springfield community has recently invested more than $156 million to improve its education facilities. Improvements since 2000 include total renovation of two high schools, construction of two new schools and significant expansion or remodeling of other schools. SPS ensures a quality learning environment by recruiting and retaining highly qualified teachers. 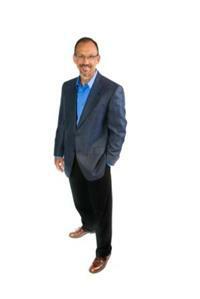 They average about 13 years of teaching experience and more than 62 % have advanced degrees. Ten district schools were named 21 times in 2008 to Missouri Top 10 lists of high performing schools. Among all Missouri public school districts, Springfield had the second largest number of schools on Top 10 lists. We are very proud of our outstanding schools. 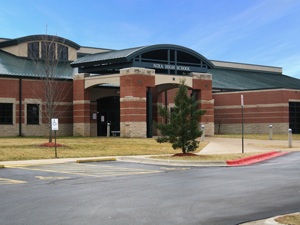 For the seventh straight year, Nixa Public Schools earned a perfect 100% score on the Annual Performance Report (APR), Missouri's method of judging the quality and effectiveness of schools. With enrollment of over 5500 students in seven elementary schools, the Early Learning Center, a junior high school, high school, and S.C.O.R.E. Learning Center (Second Chances on Receiving an Education), the Nixa Public Schools is strong and growing. The district continues to invest in quality facilities for our students, as seen in the recent construction of a new state-of-the-art K-fourth grade facility, High Pointe elementary, the renovation of Espy Elementary library and stage, the new Career Opportunities Center and plans for further expansion and growth. Our schools and students are not the only ones receiving awards. The Nixa School Board was selected by the Missouri School Board Association as the Outstanding Board of Education for the years 2000 and 2004. Our transportation/bus services earned a 100% on their State Level Safety Inspections for the tenth year in a row! Nixa Public Schools has been recognized seven consecutive years for achieving the Governor's and the Department of Elementary and Secondary Education's "Accredited with Distinction in Performance" Award. This is the highest accreditation standard given by the State of Missouri. 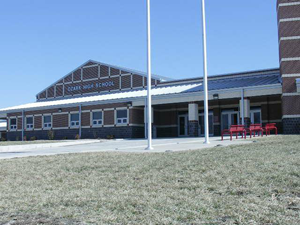 Nixa Public School's "Strategic Planning Process: was nominated for the Magna Award 2004 for Improving the Comprehensive School Improvement Plan (CSIP) through the Strategic Planning Process. Ozark Conference (second year in a row for this honor) including Springfield. Nixa’s 2008 ACT scores are above the state and national average. The Nixa Public Schools's 3 -year Technology Plan earned a 99%. Nixa Public Schools Special Education Program earned a 99% on the MSIP review. to the Nixa Public Schools Early Learning Center for $65,000. of the Ozark School District. -In the grade span 3-5 Mathematics, students demonstrate high achievement. -In the grade span 3-5 Communication Arts, students demonstrate high achievement. -In the grade span 6-8 Mathematics, students demonstrate high achievement. -In the grade span 6-8 Communication Arts, students demonstrate high achievement. -In the grade span 9-11 Mathematics, students demonstrate high achievement. -In the grade span 9-11 Communication Arts, students demonstrate high achievement. -The percentage of graduates who scored at or above the national average on the ACT is at a high level. -The percentage of graduates enrolled in post secondary education is at a high level. -The district’s attendance rates are high. Educating youth for a better tomorrow is the mission of the Republic R-III School District. Together we will ensure quality educational experience in a safe environment that enables all students to acquire the knowledge, skills, and attitudes necessary to become responsible, successful individuals. The Republic R-III School District provided educational programs and services to over 3,370 students in four elementary schools, one middle school, and one high school for the 2004-2005 school year. The communities of Battlefield and Brookline also send their children to the Republic schools. The Willard Schools offer a quality educational program. If you measure quality by the programs offered, then the Willard Schools will rate exceptionally high. In addition to the core subjects the Elementary program offers music, art, library and physical education. 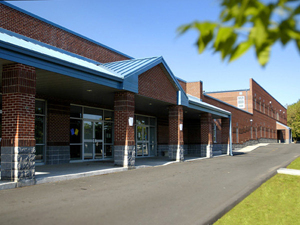 In addition to math, social studies, language arts, and science, the Middle School program includes an expanded elective program featuring vocal and instrumental music, home economics, art, speech, drama, industrial arts, Spanish and computers. At the secondary level, Willard High School is an accredited A+ High School which offers an expanded curriculum including over 135 units of credit. Thirteen different dual-credit College classes, all of which articulate into 45 college hours, are offered during the regular day. Over 60 units of approved credit is available at the Graff Vo-Tech School, a part of Ozarks Technical College, in Springfield. If quality is measured in personnel, then the Willard Schools rank high with 44% of the 286 certified staff members having Master’s Degrees or higher. If quality is measured with test scores, the Willard Schools compare very well. In the standardized testing program students have been equal to or above the national average in most areas. Willard students score above the state average in most categories on the Missouri Assessment Program each year. The elementary curriculum is aligned to the Missouri grade level expectations so that whichever school a child goes to he or she will be receiving instruction on the same objectives. Each school develops a personality because of the makeup of students, the teaching staff, and the operation of the individual principal. Elementary teachers meet collaboratively to develop the curricular objectives, the assessments, and their instructional strategies. The elementary curriculum is centralized so that whichever school a child goes to he or she will be receiving exactly the same training and services as does any other child. Each school develops a personality because of the makeup of students, the teaching staff, and the operation of the individual principal.